The nature, architecture, people, language, food and culture. During my trip to the mesmerising country of Japan in October this year, I felt there was no end to the impressions I got. In this post, I’ll tell you what stood out about design. Was it playing Super Mario World as a kid in the early 90s? Could it have been eating sushi when going to college on the Swedish west coast? Maybe seeing Sofia Coppola’s masterpiece Lost in Translation multiple times had something to do with it. I don’t know, but for the past few years my curiosity about Japan had been steadily increasing. This fall I finally stopped dreaming and booked a flight to the land of the rising sun. In this post, I’ll tell you what made impressions on me as a designer. I started my trip in the nation’s capital of Tokyo. For getting around in this mind-blowing city, the subway is the best choice by far. Since most of the city’s 38 million inhabitants also prefer the subway the experience is at first overwhelming, but after a few rides completely manageable (as long as it’s not during rush hour). 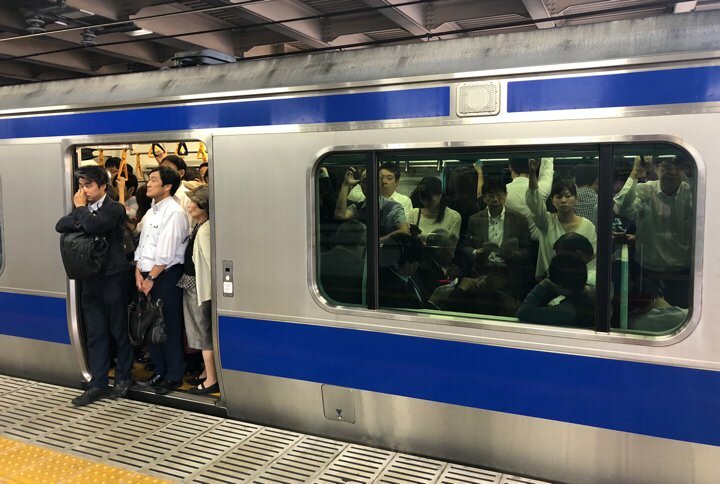 During rush hour, the subway cars in Tokyo are packed. Luckily, the commuters are respectful towards each other. In the Tokyo subway there are multiple transportation companies running lines. Tokyo Metro has nine lines while Toei Subways has four. In addition to this, the nation-wide company Japanese Railways (JR) has five train lines running through the city. At most stations, these three companies share the space. If you’re changing from one line to another, it often means having to change company and buying a new ticket. Luckily, you can purchase so called IC cards (Intelligent Cards) by Suica and Pasmo that work with all of these companies. You charge them with money at terminals (with English as a language option) found at all stations. Then you just scan your card when entering and exiting station gates. Simple. Getting an IC card from Pasmo or Suica is a must for riding the Tokyo Subway since they work with all three subway companies. 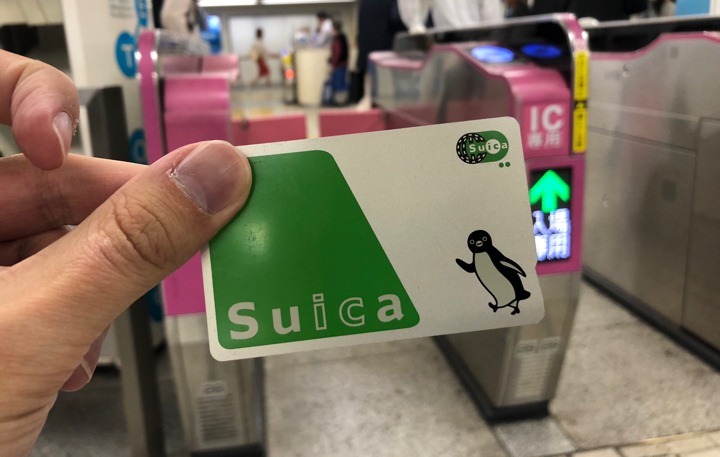 With a Suica card you can ride all subway lines regardless of company in the Tokyo subway. You can even pay with it in certain arcades, which is quite cool. The Tokyo subway has great signs with text in both Japanese and English. 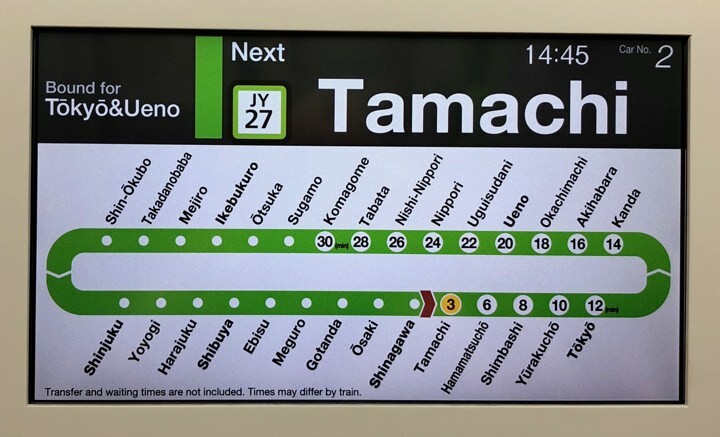 Inside of the subway cars, route information is displayed in both Japanese and English. The numbers represent the amount of minutes it takes to reach the upcoming stations. 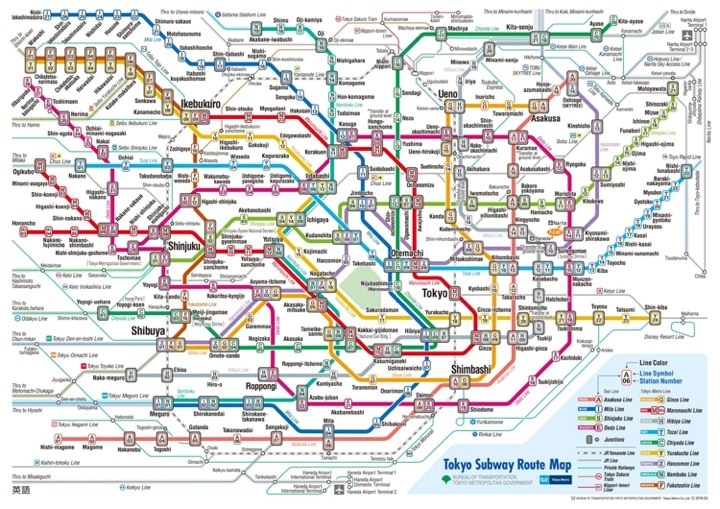 Since the Tokyo subway maps looks like a bowl of spaghetti, using an app for finding your way is highly recommended. For English speakers, the popular choice seems to be Hyperdia. 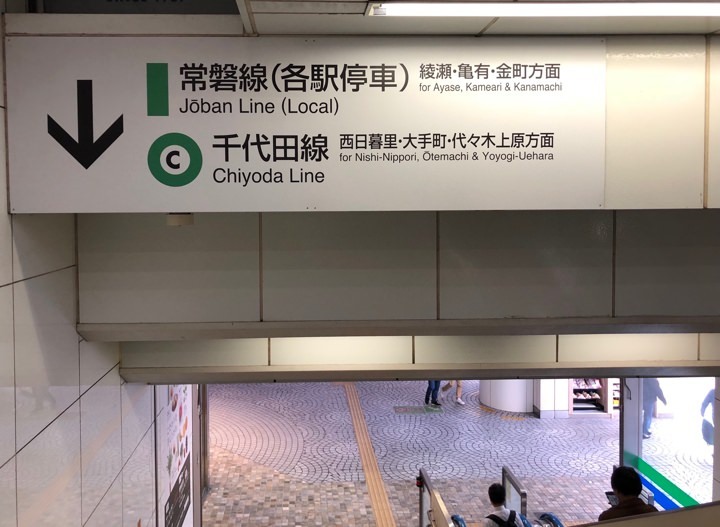 Apart from getting around in Tokyo subway, Hyperdia can also be used for navigating across the rest of Japan. 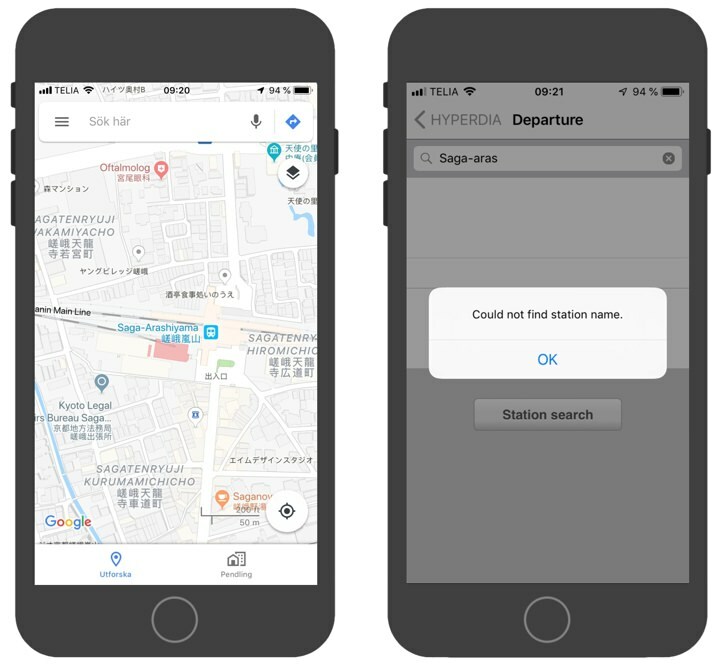 The Tokyo subway is complex, but with some help you’ll find your way. When it comes to usability, there’s definitely room for improving Hyperdia. When entering station names you get no suggestions and if you misspell a name the app is completely unforgiving. The latter is an issue from time to time since station names sometimes are spelled differently on Google Maps. Despite its flaws, I quickly became an expert user of Hyperdia and had no troubles finding the most convenient routes in the Tokyo subway. Spelling of station names sometimes differ on Google Maps and Hyperdia. This is frustrating since Hyperdia requires exact spelling. Hyperdia is somewhat cluttered when it comes to visual design, but the app gets the job done. If you get lost at a subway station you only need to approach one of the locals, smile, utter “Sumimasen” (excuse me) and mention the subway line or exit you’re looking for. The people I met were lovely and incredibly helpful (especially if you’re polite and know a few phrases in Japanese). They might even follow you to your platform make sure you don’t get lost again. If you’re travelling alone in a foreign country where you don’t know the language, having reliable access to the Internet is a good idea. In Japan, renting a Pocket Wifi (a portable 4G/LTE router) is the recommended course of action. There’s a lot of providers to choose from, but they all work in a similar fashion. First, you select the time period followed by what router model you prefer. All models are clearly marked with bandwidth, battery length (an extra battery is often included as well) and data limit. Then, you choose where to pick up (and later drop off) your order. You can do this at all major airports in Japan or have it delivered to your hotel, hostel or AirBnB host. 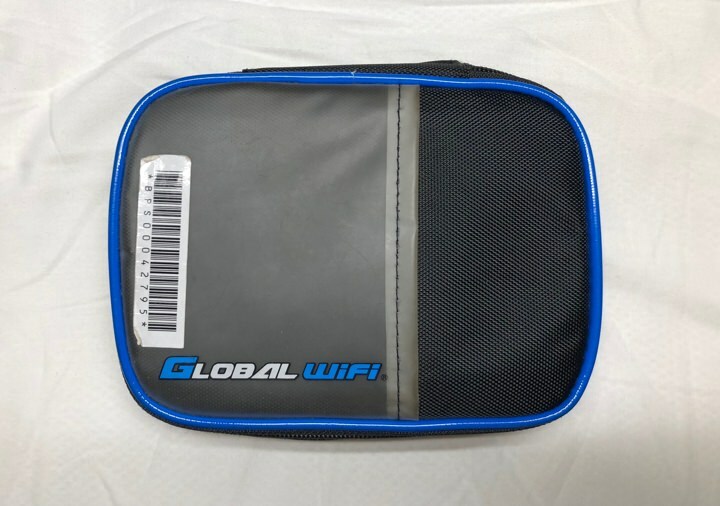 If you prefer, you can include a pre-stamped envelope so you can drop off your Pocket Wifi at any Japanese post office before leaving the country. Simply brilliant service design! 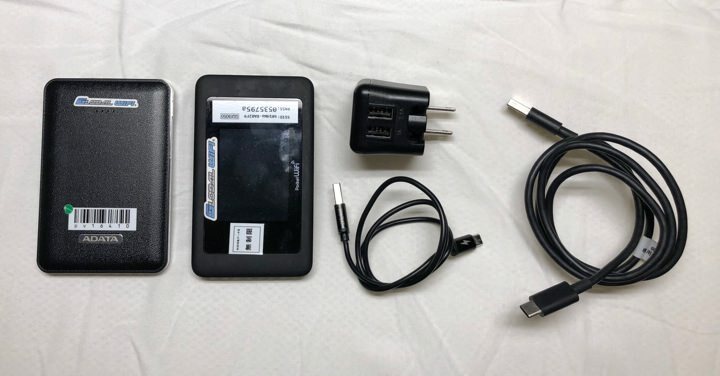 Extra battery, 4G/LTE router and charging cables from Ninja Wifi. All equipment came in this neat little bag. A popular and cool alternative to regular hotels in Japan are the affordable capsule hotels found across the country. 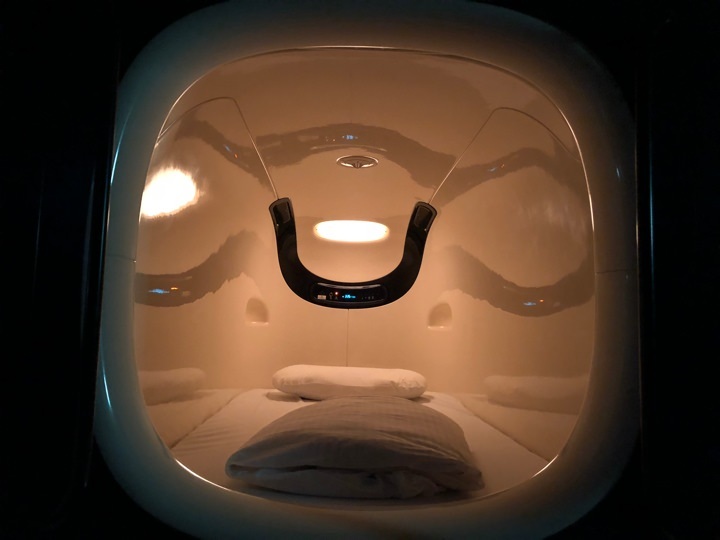 Instead of sharing bunk beds with strangers in a large dorm room, you get your very own capsule built into the walls of the hotel. 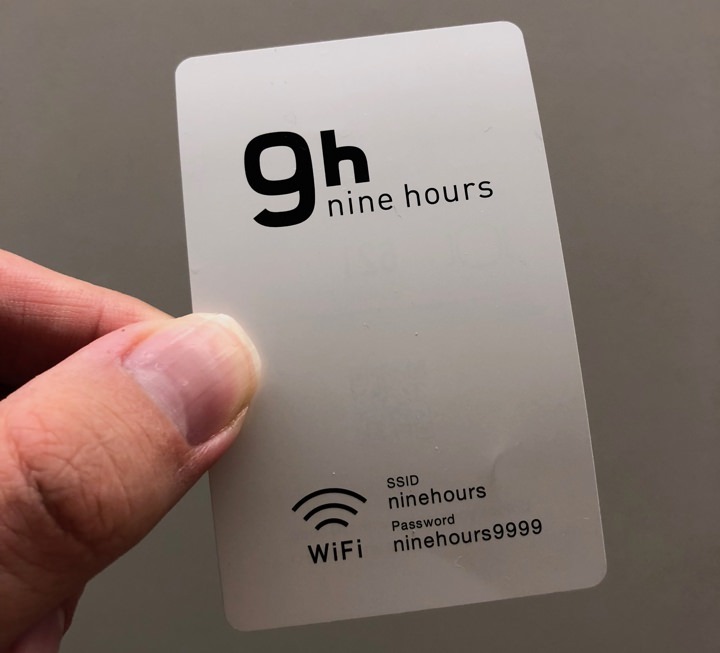 I Kyoto, I spent two nights at the capsule hotel chain 9 Hours. I was very impressed by the hotels simple and coherent design. 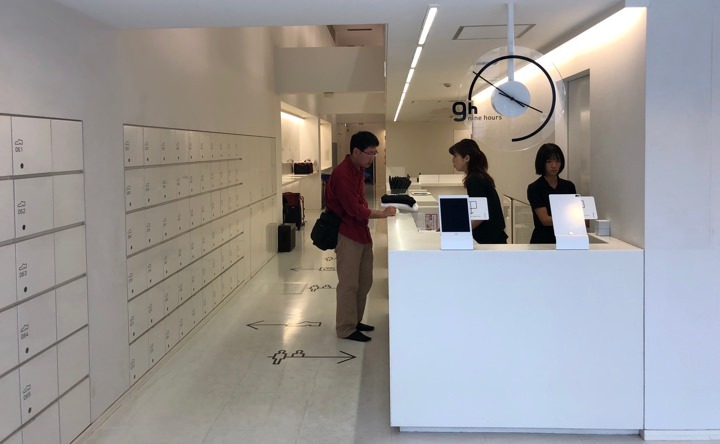 From the chain’s website, to the hotel lobby and finally to the capsules the design was consistent and clean with its white color, dark iconography and text both in Japanese and in English. The lobby and the rest of 9 Hours in Kyoto followed the same clean and simple design as the hotel chain’s website. With a keycard like this you unlocked your storage unit at the hotel. Bonus points for the Wifi information printed at the bottom. Having icons with text in both Japanese and English made it easy to find your way around the hotel. A spaceship? 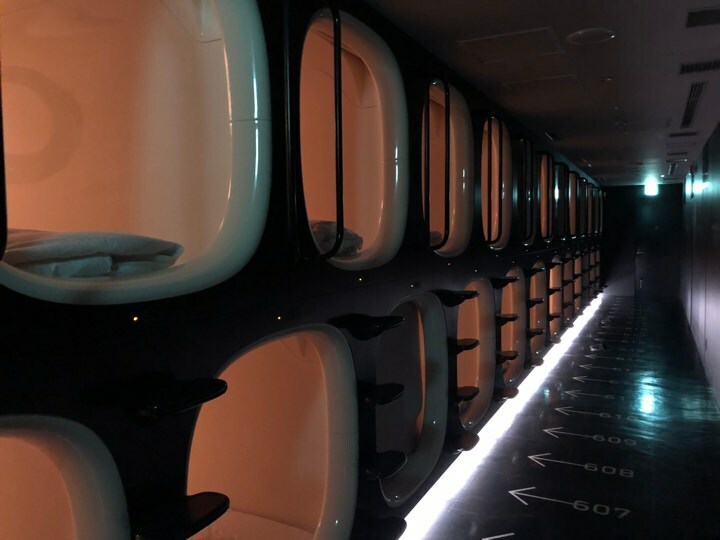 Nope, just one of the capsule dorms at 9 Hours in Kyoto. My capsule I slept in for two nights. Apart from the comfortable pillow it came equipped with a power outlet, a night light and an alarm clock. For some privacy, you could pull down a curtain. In recent years, I’ve spent a lot of time giving lectures on and working with accessibility. Therefore, I was glad to see the amount of work put into making railroad cars, streets and subway stations accessible throughout Japan. 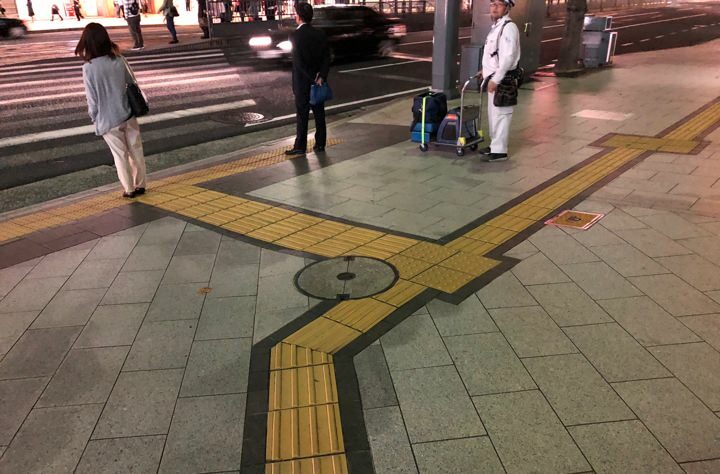 In Hiroshima, elevated and clearly marked yellow sections ran along all the city’s major sidewalks. If they ended at a crossing, they continued on the other side. The areas near elevators and escalators were made accessible in the same way. Elevated and clearly marked sections on sidewalks in Hiroshima. A necessity if you’re in need of a white cane. 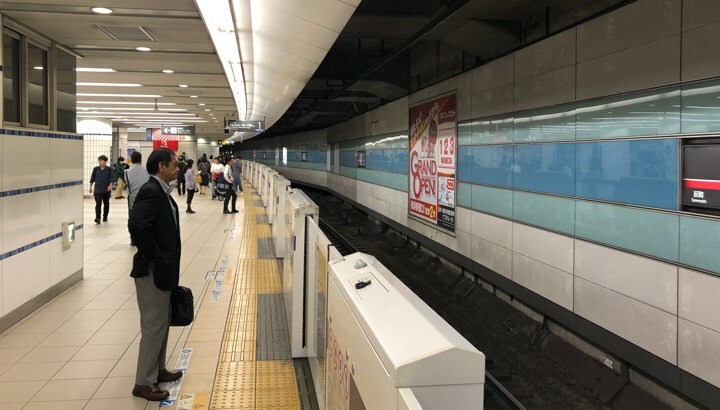 Closed gates and elevated floor sections in the Tokyo and Yokohama subway. Less risk for accidents and increased accessibility. 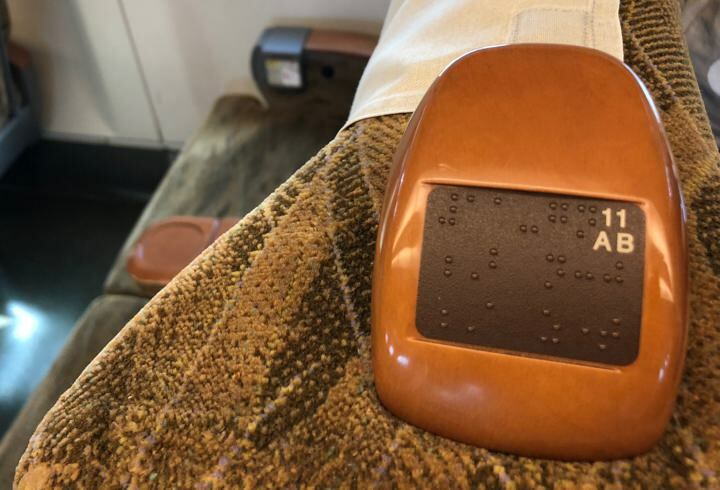 Seat number in Braille on the Shinkansen logically placed on the neck rest facing the aisle. If you’re going to visit more than one city in Japan, getting a Japan Rail Pass is a must. 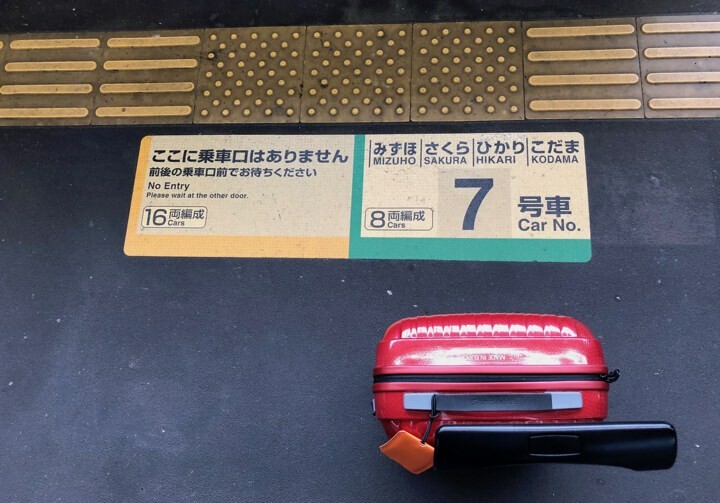 With this pass you can travel as much as you want on the majority of the country’s Shinkansen (bullet trains) as well as all regular JR trains and busses throughout the country. In the Tokyo subway you can also ride all the lines run by JR with the pass. 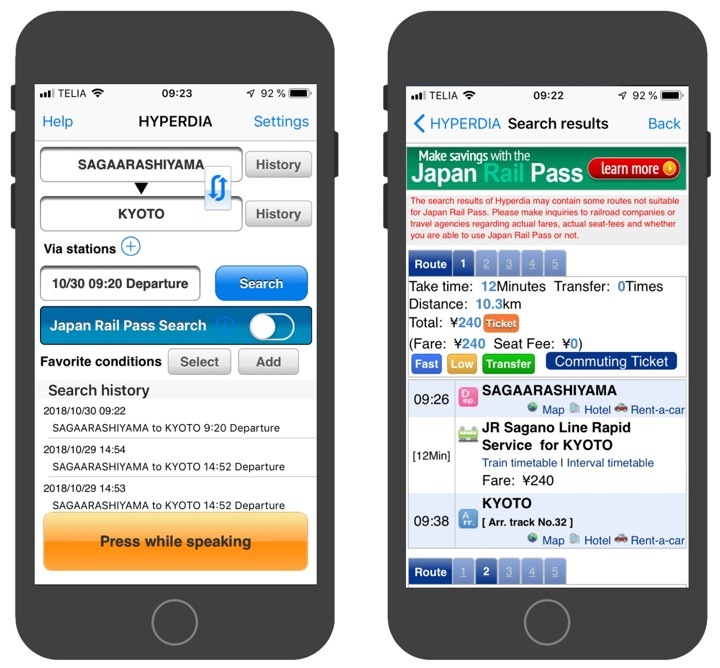 The Japan Rail Pass can be purchased for one, two or three weeks and is only available for foreigners or Japanese citizens who can prove they’ve been living outside of Japan for at least ten years. Before leaving for Japan, your order a voucher that you later exchange for the actual pass at any JR office on Japanese soil. When waiting for Shinkansen you know exactly where to stand thanks to the signs on the floor at the train stations. Once you have your pass, all you need to do is to show it to the JR staff and they let you through the station gates. Once you pass the gates, you can hop onto any train and go wherever you want. Seat reservation are optional on most lines and as long it isn’t tourist season or a national holiday there’s usually lots of available seats in the unreserved railroad cars. If you want to make seat reservations, you have to do it at a JR office in Japan. The sense of simplicity and freedom riding the Shinkansen with the Japan Rail Pass is hard to explain. It felt like an adventure! Riding the Shinkansen is as easy as it is reliable, since the bullet trains always leave on time. However, last year a “national scandal” occurred when of the trains left a station 20 seconds too early. 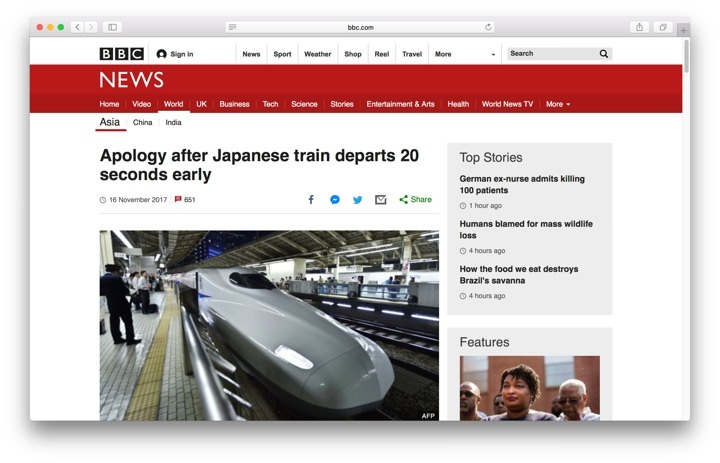 Last year a bullet train left 20 seconds too early in Japan. This became worldwide news. When eating at restaurants in Sweden, I often feel being served by a waiter at a table is a complete waste of everyone’s time. If you agree with me, you’ll love eating out in Japan. 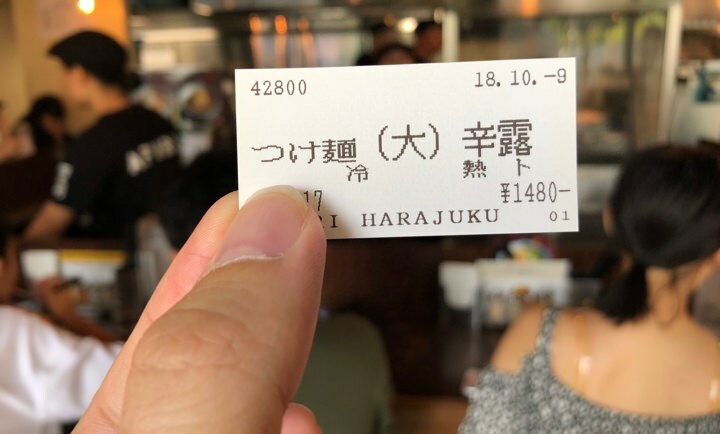 At many restaurants in Japan you don’t order food from a waiter or waitress, instead you put money in a ticket machine and get a ticket for each dish you want to order. Then, you just hand your tickets to the staff and wait while your meal is being prepared. On these ticket machines you can’t expect to find the names of the meals in English, but you’ll always find a photo and the price. Relying on these machines can be challenging if you’re vegetarian, vegan or are allergic to some ingredients. If so, just ask the staff and they will surely do their best to help. When you’ve finished your meal just get up, say “Gochisosama deshita” (thanks for the delicious meal) to the staff and leave. You don’t have to leave any tips in Japan. It’s actually considered downright rude to do so. Hungry? 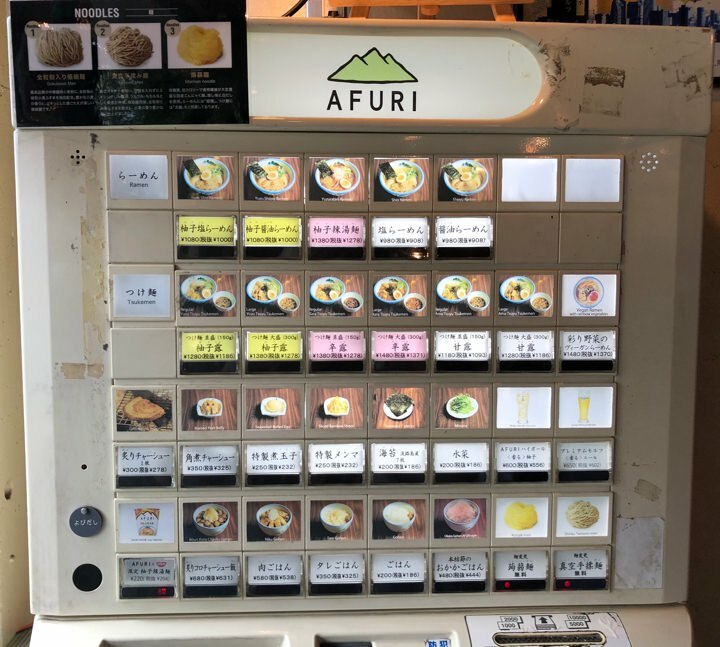 Insert money and press the button for your preferred meal at the ramen restaurant Afuri in Tokyo. After getting your tickets you just hand them over to the staff at the counter. 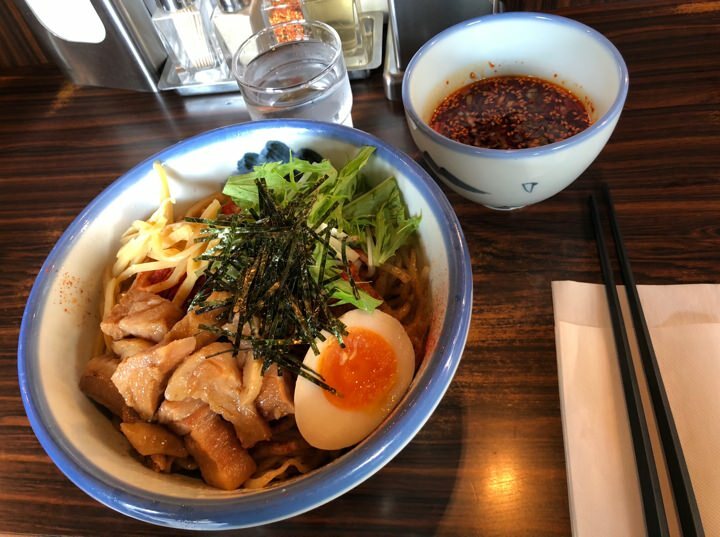 Food in Japan is amazing. Make sure to eat a lot all the time. Another thing that made eating out better compared to back home was how every restaurant and café had made it comfortable to store your bag and clothing. 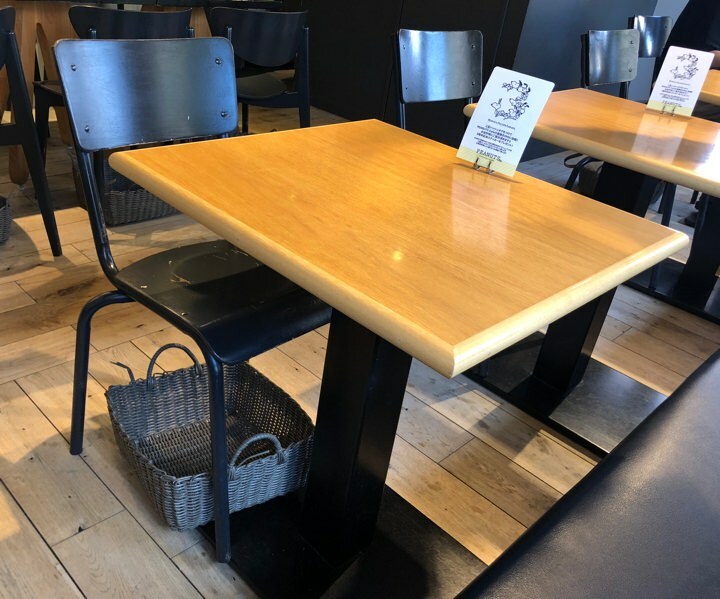 If I was eating at fast food joint or visiting a fancy café I would always find a basket under or next to my seat where I could place my shoulder bag or jacket while dining. It made so much sense to me that I boggles my mind I’ve only seen it in Japan. A basket for your stuff under each chair at the Peanuts Café in Shibuya, Tokyo. After having been humiliated by an advanced Japanese toilet in a Manhattan townhouse three years ago, I was out for some long-awaited revenge during this trip. 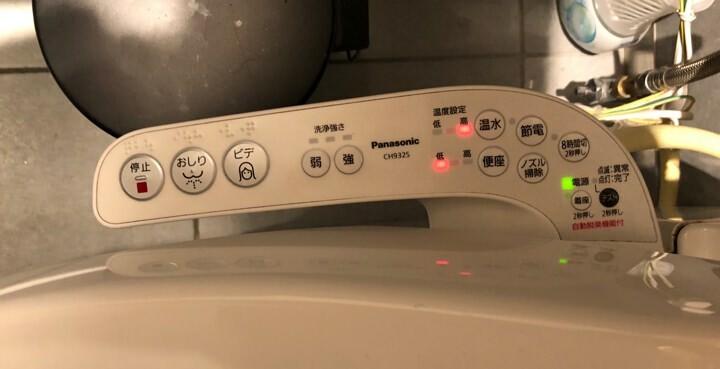 Japanese toilets are infamous all over the world and are are often portrayed as the household appliance equivalent to a jet fighter cockpit with their many buttons and unique features. 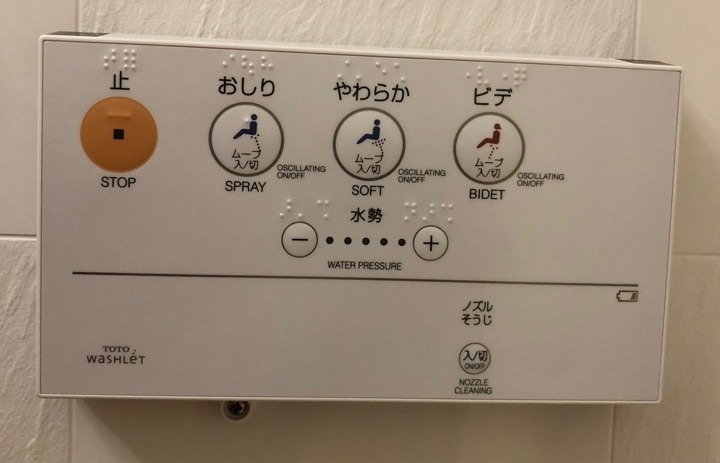 In reality, Japanese are not that complicated even if you sometimes have to spend a few seconds extra figuring out how to flush. Flushing didn’t cause that much trouble for me this time around since the buttons often were clearly marked with contrasting color, text in English or placed on their next to the toilet control panels. Pro tip: Stick to the basics when using public toilets, experiment in your hotel bathroom. The remaining control panel buttons often had similar icons, but rarely any text in English. 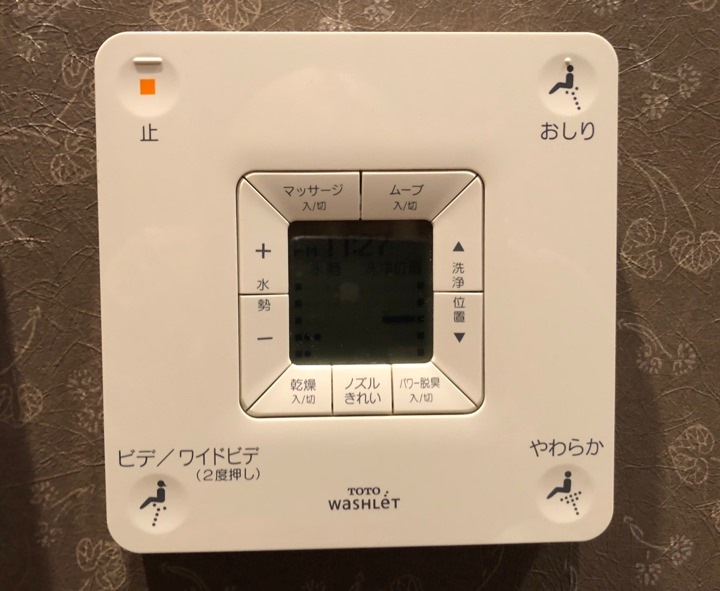 This made it difficult to know if you would increase the seat heating, active a bidé function (there are several to choose from), adjust the water pressure or lower the volume of the cozy rain forest sounds being played (bird-chatter was also common). Bidé functions with adjustable water pressure. Very common for Japanese toilets. For deactivating the upper right function, you have to press the upper left button. Trust me, it won’t stop otherwise. The flush buttons are often clearly marked (one way or another). Sometimes you just had to take your chances and hope for the best. In addition to great, fun and interesting design choices Japan is an amazing country with rich culture, interesting history, awesome food and lovely people. I highly recommend spending your hard-earned vacation days for a visit. How you already visited Japan? If so, what user experiences stood out for you? Let me know in the comment section.